I can remember when I first found Austen Browne's work on Instagram. The ability to upload video was still relatively new to the app, and I was searching for creative videos to feature on an account I'd cleverly dubbed "@creativevideo". It was tough wading through what were mostly bad selfies, in video form, and finding anything worth watching. So when I stumbled upon Austen's videos, it was like hitting the jackpot. They took my breath away. In fact, his videos still do. Seeing Austen's work raised several questions for me. Why are these videos are so amazing? What is it about them that produces such an emotional reaction in me? Why can't I dance like that? Ok, the last one wasn't a serious question, but I decided I wanted to try and find out what the answers were. It turns out that it's not a fluke that Austen's work is of such high quality. 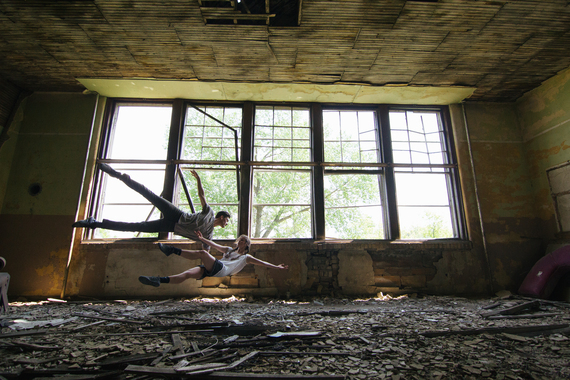 A child of two artists, he grew up near Minneapolis and started dancing at an early age. Along the way, he met Kevin, who has been his best friend and fellow dancer since the age of eight; Kevin is often the subject in his videos. In addition to dance, Austen has had other creative outlets, including drawing, video, photography and pottery. When it came time to choose a course of study in college, he decided to choose filmmaking. 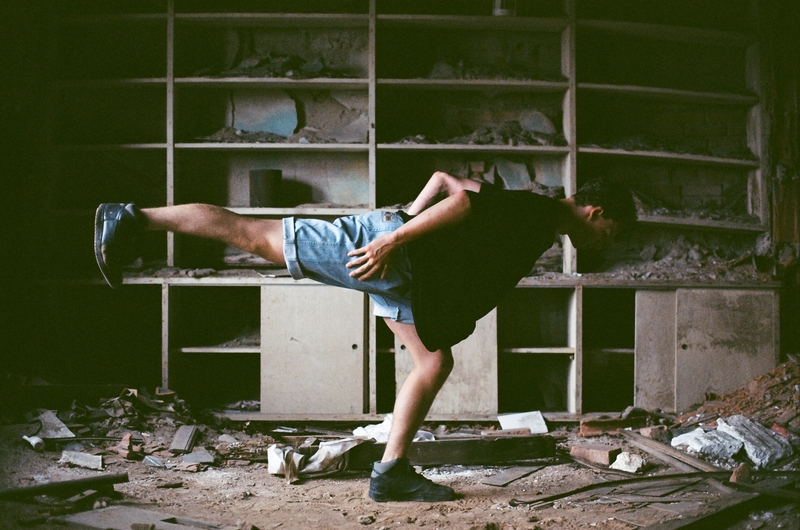 The combination of film and dance felt like something he was always meant to do.
" Being a dancer myself, I was able to film in a way that other filmmakers, who are not dancers, couldn't. 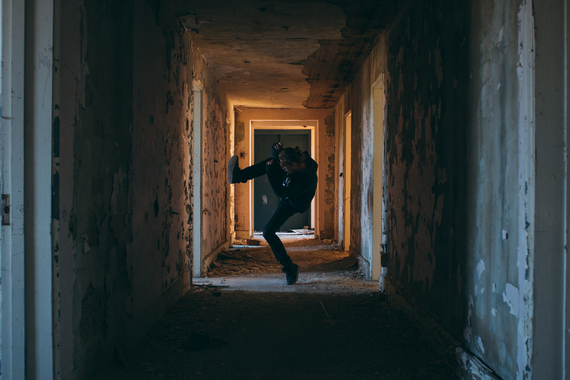 I was able to anticipate how a person would move, or what they were going to do next... It became similar to a dance duet, where the dancer and the camera were interacting through space." One of the first things that grabs your attention when you view one of Austen's works is the stark contrast. Typically filmed in an abandoned location, where things have often been stagnant for decades, he captures a fervent energy being inserted into these places; specifically in the form of a dancing figure. 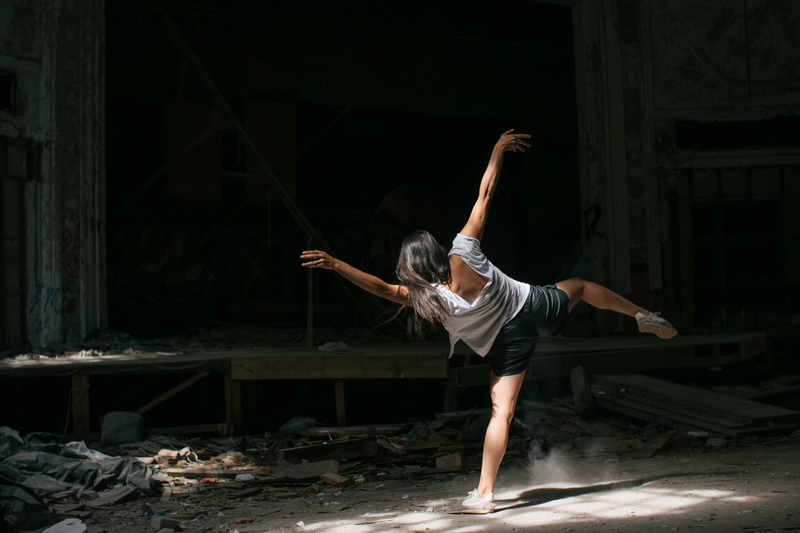 "I loved how dancing could bring a dead abandoned space to life and create such a strong contrast between the space and the subject. The decaying, motionless backdrop is brought to life by the movement of the dancer and their interaction with the space." 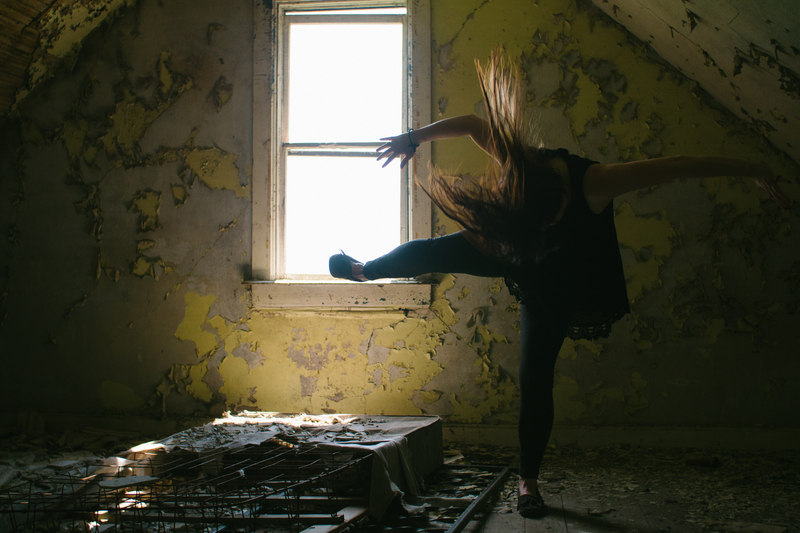 "If I were to try and explain contemporary dance or improv to a non-dancer, I would say that it is an exploration of movement with your body, whether the moment is coming from within the body, or the body is reacting to external forces/shapes/spaces/energy. It is definitely an exploration." I was still curious, though, as to what caused such an emotional reaction in me when I watched these videos. Austen helped me figure it out a bit. Dance is an art form in which one's own body is the medium through which the art is expressed. It's different from just about any other medium I can think of. With other arts, the viewer is interpreting what the artist is putting forth through external means, whether it's a musical instrument, canvas, or photograph. The dancer, though, is really baring their soul. What they are putting forth is literally a part of themselves, in a most physical sense. "I think that for most people, improv comes from somewhere deep within, and when you are truly in the zone nothing else matters in the world... I find dance to be one of the best art forms, because your body is the instrument, which makes it so raw, and the connection of the body and mind that dancers have is really something that is special to me." So while I don't see myself anytime soon being able to move in the way Austen and his friends do, I do look forward to seeing more of his work, whether it's his photographs, films, or, maybe if I'm lucky enough, a live performance. I secretly hope that the next time I'm shooting in an abandoned spot, he and his friends somehow magically appear. In lieu of that happening, I'll have to be content with seeing his work online and sharing it with anyone who is willing to stop and watch. re:lapse from Austen Browne on Vimeo.